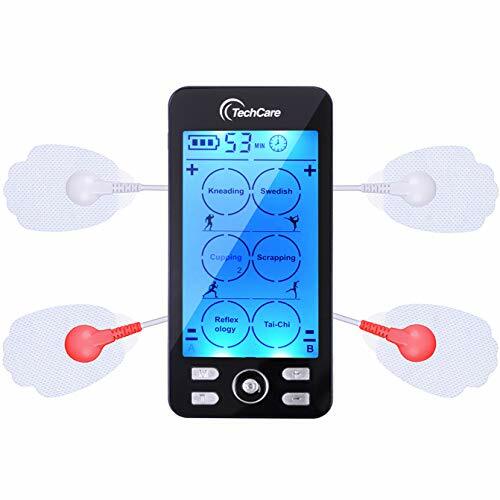 Over 1,000,000 TENS units sold and a consumer OTC favorite in physical therapy equipment The TENS 7000 is a muscle stimulator and muscle recovery device that provides prescription strength pain relief and is the best valued OTC digitalTENS unit on the market today. 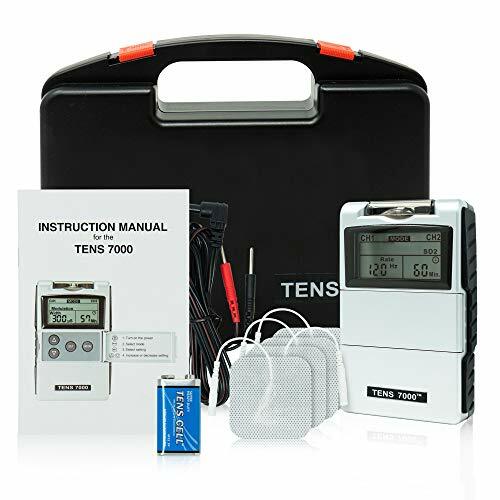 Energized by a 9Volt battery, this TENS machineis proven to be powerful and durable. 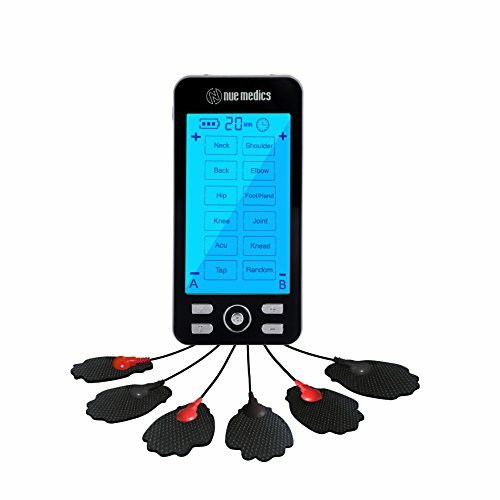 The TENS 7000 unit is the preferred device of physical therapists and physicians for pain relief. 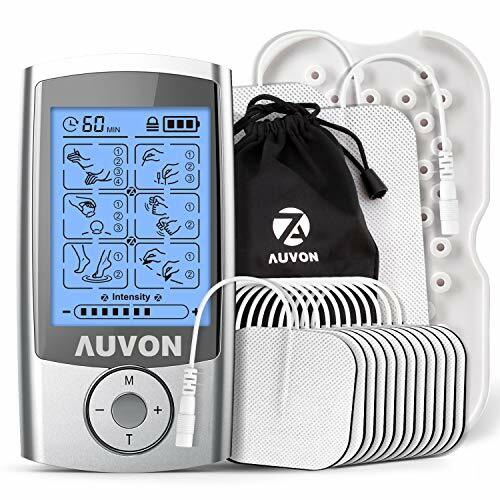 HOW IT WORKS:The TENS unit sends comfortable stim impulses through the skin thatstimulates the nerve in the treatment area, acting as an electric massager, and calming the nerve.Treatment can be given on demand or via timed therapy sessions up to 60 minutes. In many cases, this stimulation will deliver immediate pain relief. Pain relief varies by individual and by the type of pain you are in. The TENS 7000 comes complete with: The TENS 7000 TENS Unit Two(2) pair of lead wires Four(4) pack of reusable TENS unit pads(electrodes) One(1) 9-volt battery Quick start guide instruction manual Hard carry case The TENS unit is equipped with five(5) powerful TENS therapy modes of operationto tackle back pain, neck pain, joint pain, or as a muscle relaxer. 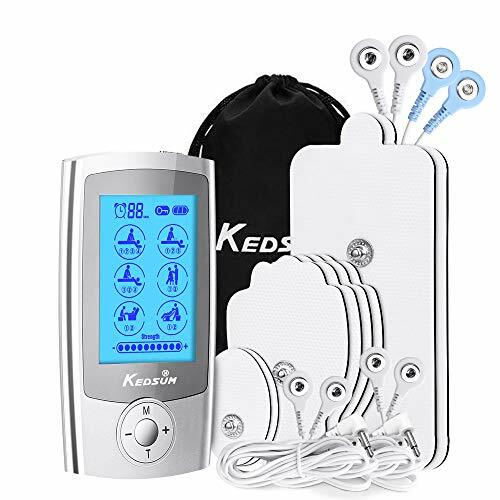 The modes are: Burst Normal Modulation Strength Duration 1 Strength Duration 2 Intensity of the TENS device is controlled via two control knobs that allow you to controlthe stimulation power of the dual channel pulses. 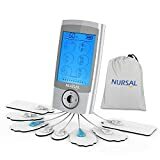 Each channel controls 2 electrode TENS unit pads.The package comes with 4 starter electrode pads of premium qualityand will last multiple sessions. Recommended replacement electrodes arethe TENS 7000 or StimChoice brands. TENS device comes with a 1 year warranty and is supported by theRoscoe Medical best-in-class support team. Directions for use: Press the wire plug to the output port at the top of the unit; Connect the electrode pads to the electrode wire by inserting pins to the female pin electrodes; Make sure each part connected firmly. Remove the protective film and place the electrode pads on the targeted area, making sure that both pads are attached on the skin tightly and not overlapping; Turn on the unit via the on/off switch; it will automatically start from mode 1 and level 1; Change the modes by pressing one of the 15 different mode buttons displayed on the front of your device; To Control your A1/A2 ports use the intensity buttons located on the left hand side of the device. Increase the intensity by pressing intensity (+) button for the channel A in use; Please increase the intensity gradually and gently to test your acceptance level of the intensity; to decrease the strength, press the (-) button for the channel A in use; To control your B1/B2 ports use the intensity buttons located on the right-hand side of the device. Gradually increase the intensity by pressing intensity (+) button for the channel B in use; to decrease the strength, press the (-) button for the channel B in use; Intensity should be set at a level where you will experience some muscular vibration and involuntary muscle movements. It should be set to give a "comfortable" treatment. The treatment should not be painful Gradually and gently increase the frequency by pressing speed (+) button for the channel in use; to decrease the speed, press the (-) button for the channel in use; To Control your A1/A2, B1/B2 ports use the speed buttons located on the front of the device. *Please follow the Directions for use in our user manual carefully. Incorrect operation might cause unexpected shocking. *YK15AB is a HIGH INTENSITY TENS&PMS Device. Note : Device is FREE. 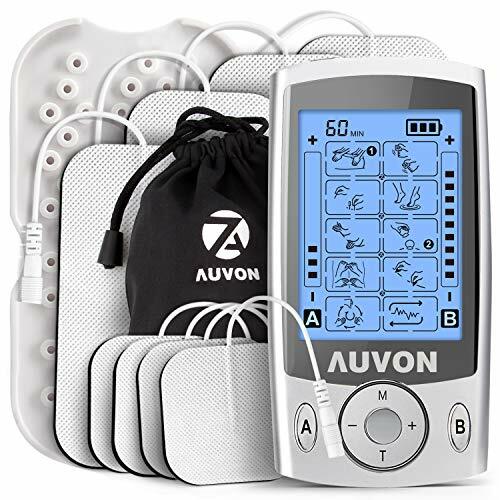 AUVON Live Smart, Live Healthy AUVON TENS Unit The TENS machine is safe, non-invasive, drug free method of pain relief and pain management. Many people have even used it for intense pain from sports injury, knee injury, foot, hip, arthritis or tennis elbow. Do I need independent intensity controls for each channel? 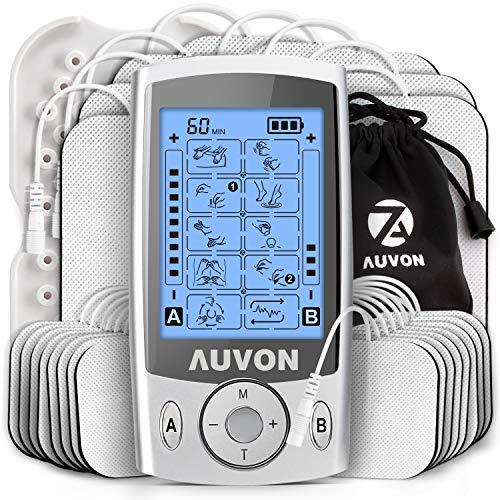 Most of dual channel TENS units (muscle stimulator for pain) on the market today have independent intensity controls for each channel. What this means is that you can increase and decrease the "massage" strength / intensity separately within the channels. 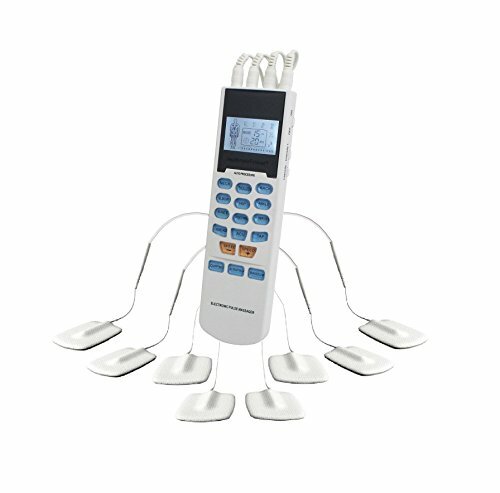 The major advantage with a dual channel device is that you can "massage" two areas (or sides of the body) simultaneously. With a single channel unit you are limited to one area for a comfortable feeling. What are fully isolated channels? Fully isolated channels enable you to run separate programs in different channels, rather than just control the intensity for the channel. 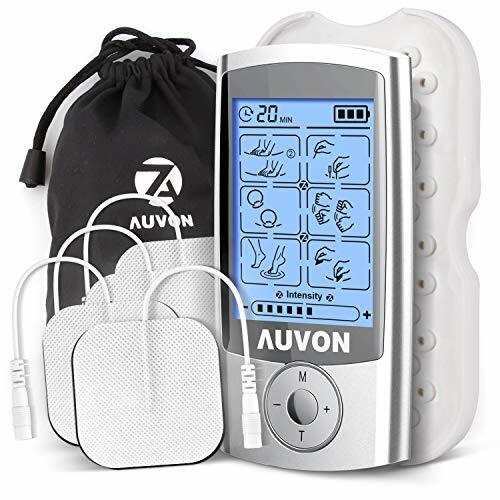 This is a quite a recent development and can be found on this AUVON dual channel TENS machine. For example, you could choose Acupuncture mode in channel 1 with an intensity level of 5 for your shoulder. While in channel 2, the Tapping mode is being run with the intensity set to level 10 on your back. In this condition, you will never worry about the strength is too weak on your back while too high on you shoulder where you feel more sensitive. Premium Quality, USA Shipper, Fast, Free Shipping!